Let us never forget that mining founded Montana; it’s right there in the seal. When the committee met in 1865 to design Montana Territory’s coat of arms, all agreed it should portray essential elements of the Montana lifestyle. Mountains (for which the territory was named) were to be featured, as were the Great Falls of the Missouri (on the merits of being an iconic landmark). Most importantly, mining—the industry that begat Montana—was to be represented front and center with a pickaxe and shovel. 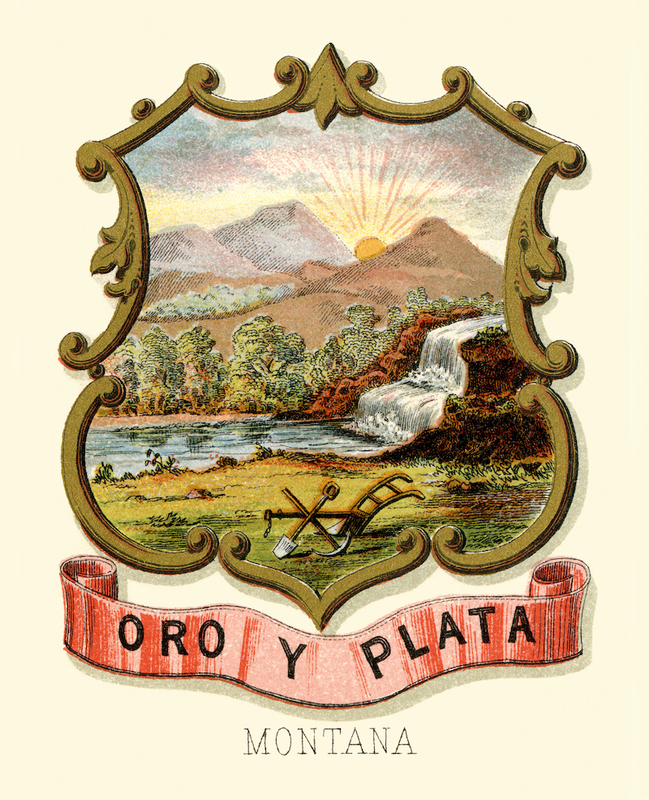 Underneath was Montana’s official motto: Oro y Plata (Spanish for “Gold and Silver”). It’s been more than 150 years since the Great Seal of Montana was adopted, and though miners no longer rush to Montana for gold and silver, it is still a state rich in mineral wealth. Under Black Butte, just north of White Sulphur Springs, lies a deposit of copper ore—one of the highest grade copper deposits in the world. Sandfire Resources America (formerly Tintina Resources) is developing a mine here to extract the copper, reinvigorating Meagher County’s economy while also maintaining its environmental integrity. Today, the United States has the strictest mining regulations in the world, and Sandfire Resources America is raising the bar even higher. When all of the copper has been extracted from Black Butte and the mine closes down, the footprint left behind will be so minimal that future generations will see little evidence that it was ever there. Anyone can tour Sandfire Resources America in White Sulphur Springs or view its studies, permits, plans, and reports online. The company is open to public questions and concerns, and expects a draft of its Environmental Impact Statement (through the Montana Department of Environment Quality) to be available in early 2019. The public will have a 45-day window to comment on this before the state makes a decision on whether or not the Black Butte Copper Project should proceed. Though the prospect of a new copper mine may be worrisome to those who have seen the environmental devastation wrought at Butte’s Berkley Pit and other pre-regulatory mines, the Black Butte Copper Project not only meets Montana’s requirements to protect the environment, it exceeds them. This is no Gold Rush; it is an enterprise meticulously studied and developed, more than a decade in the making.